Students in the Edible Classroom turn the soil. It's a stunningly beautiful February morning in Berkeley, and the students in Katherine Anderson Schaaf's sixth-grade math and science class are about to strike a blow for all schoolchildren who have ever lamented being cooped up indoors when the weather outside is truly fine. On this particular morning, they will spend an hour and a half hard at work in a garden located on school grounds — exchanging their pencils and notebooks for shovels and rubber boots. They'll turn the soil. They'll feed the chickens. They'll get their hands dirty. 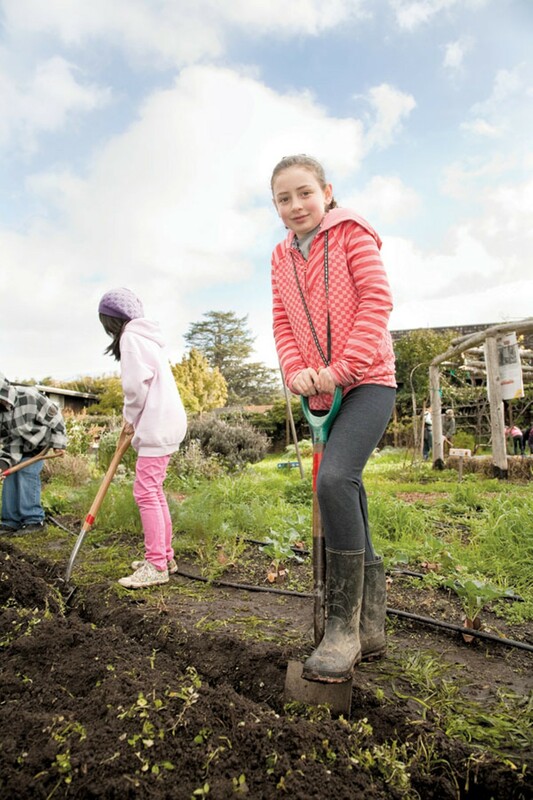 But what, exactly, are these students at Berkeley's Martin Luther King, Jr. Middle School learning in that garden? 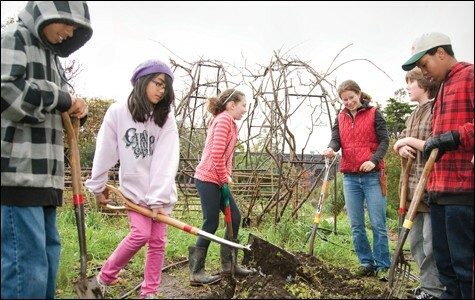 And, with public schools all across the country stretched to their limits — and an educational climate that is placing more and more of a premium on standardized test scores — are these types of bucolic chores really an appropriate use of class time? The teachers at King certainly seem to think so. "I seldom see a kid who's not happy in the garden — who's not engaged," says Schaaf, the math/science teacher who sees these students in a regular classroom setting the other four days of the week. Schaaf, like many of her colleagues, credits the program with generating in her students an excitement for learning and, really, with opening up a new world for them. "A lot of these kids never touched dirt," she explains. "They don't garden. They don't have chickens and things." 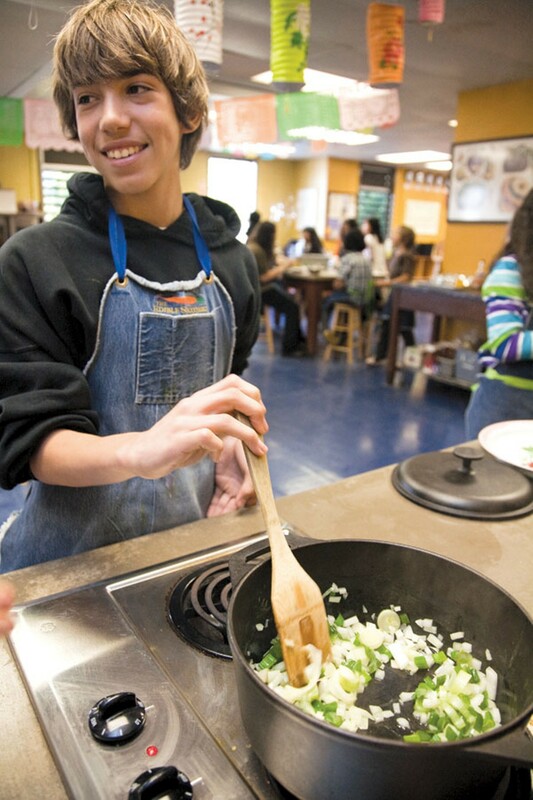 Schaaf's students are participants in the Edible Schoolyard, a nationally acclaimed program that plucks the 935 kids at Martin Luther King, Jr. Middle School out of the traditional classroom setting and places them, variously, in a strawberry patch or in front of a hot stove. The project is the brainchild of Alice Waters, perhaps the most famous chef in America who has never had her own cooking show. 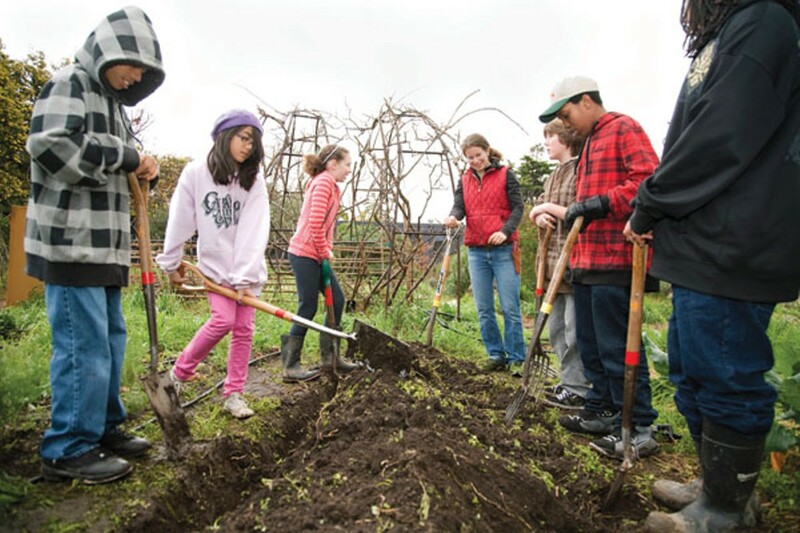 Funded by Waters' nonprofit Chez Panisse Foundation, the Edible Schoolyard has one overarching goal: to change the basic relationship that these Berkeley adolescents have with the food they eat. Once a week these sixth graders head out toward the garden and the kitchen facilities that sit behind the main school building. 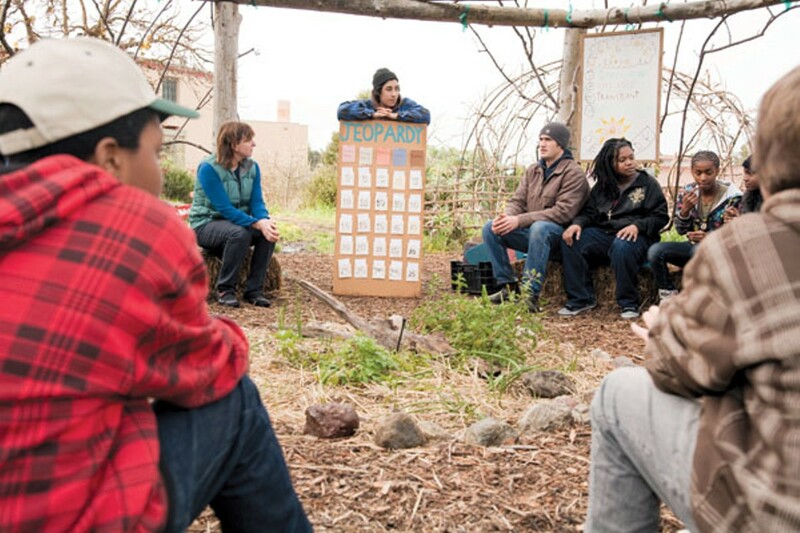 Their regular classroom teacher is present for, and often participates in, the day's activities, but the Edible Schoolyard has its own staff of teachers — an impressive collection of chefs and farming gurus — who develop the curriculum and facilitate each lesson. Garden classes might start with a horticultural lesson about one of the vegetables that's in season, and then the students are broken up into groups where they learn about and perform a variety of agricultural tasks — grafting a tree, for instance, or repotting seedlings. 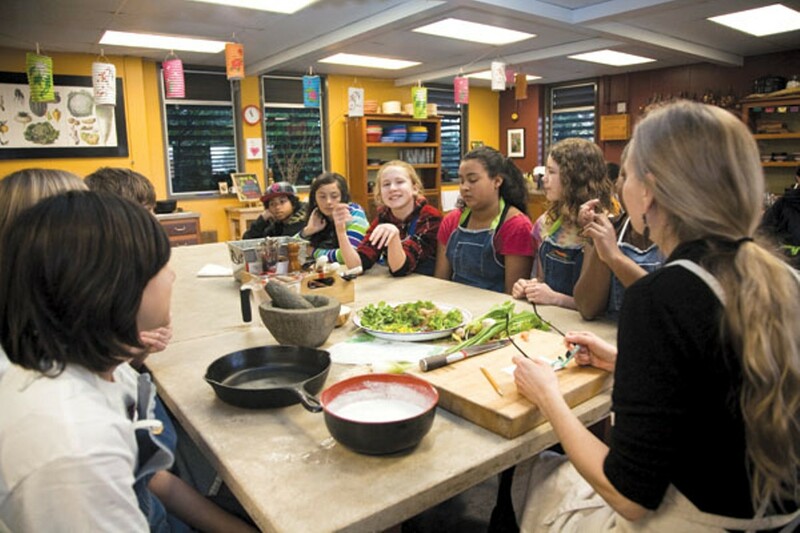 During kitchen classes, the students take the literal fruits of their labor and, under the supervision of a master chef, learn how to cook gourmet meals from scratch. And then they eat. The idea is at its core a simple one: If you take these young people through each step of the process by which their food is produced — if you teach them about seasonality and cover crops and how to use a mortar and pestle — you'll be giving them a much richer understanding of their environment and of the whole human experience. Not only that, but you'll be equipping them, in this time of rampant childhood obesity, to make better decisions around food as they head into their adult lives. Well, that's the theory anyway. And there does seem to be some concrete evidence, including a soon-to-be-released study done by the Center for Weight and Health at UC Berkeley, which shows that the kids who go through the Edible Schoolyard program end up acquiring a significant amount of knowledge about fresh food and nutrition. 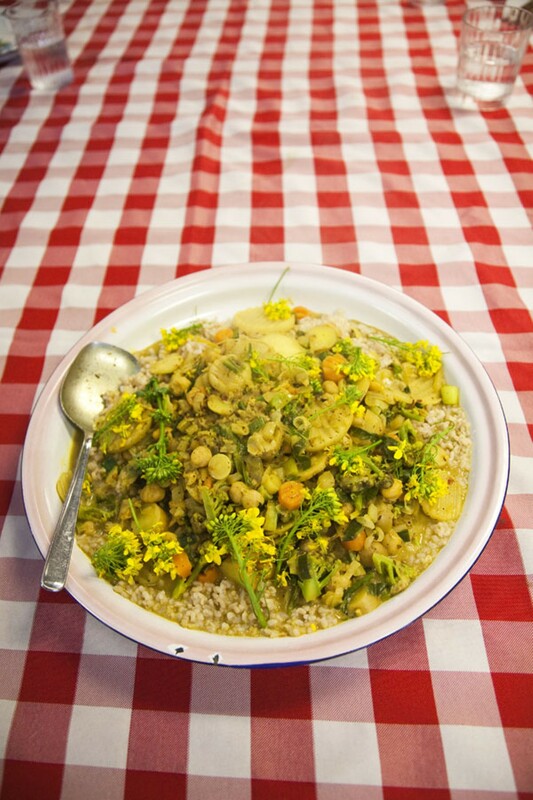 But many of the Edible Schoolyard's other benefits are more difficult to quantify, leaving it vulnerable to naysayers. Most notably, the program was savaged in the January issue of The Atlantic, in a piece by Caitlin Flanagan entitled "Cultivating Failure." Flanagan's criticism of the program can be boiled down thusly: It's irresponsible to use the public school system's limited resources to have students frolicking around in a garden — even if this might be more "engaging" than traditional academic instruction — when they are, as a group, largely failing to meet the state's basic math and language arts standards. And, perhaps more provocatively, she also argues that there's something downright offensive about having the Bay Area's large Hispanic student population "learn the pleasure of physical work," as Waters has asserted, when so many of their parents have brought them to this country for the very purpose of escaping a life of manual labor. 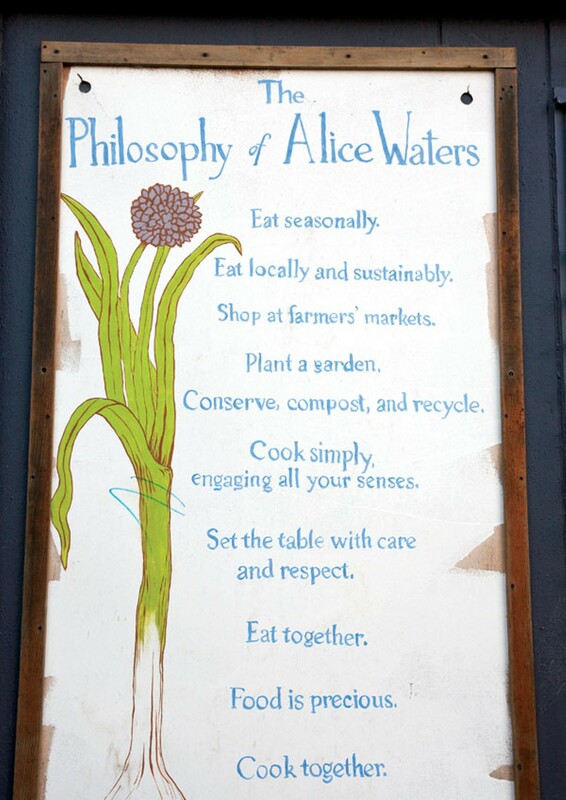 Flanagan pegs the whole program as a case where a political agenda — in this instance the entire Slow Food movement, led by Waters, its grand dame — is doing students a real disservice. It's only natural for the skeptic to question whether or not the Edible Schoolyard curriculum works at all — that is to say whether or not these twelve- and thirteen-year-olds will really buy into it. 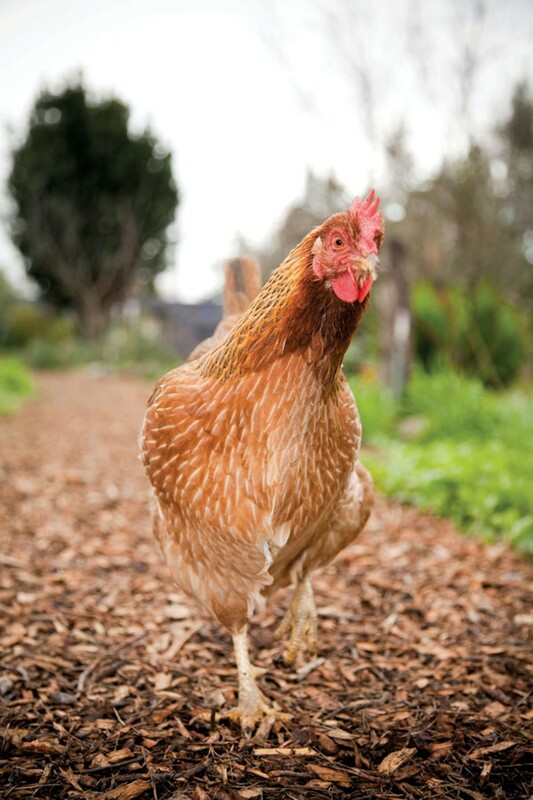 Given the reputation this younger generation has garnered for short attention spans, with their steady supply of text messages and video games, is it really reasonable to think that a few roosters and a bunch of plants could keep them engaged — even entertained? And the deeper question, of course — not just for Flanagan, but for any parents who would consider sending their children to King — is whether or not these kids are being properly educated in the end.